How to use slideshow in Powerpoint presentation? 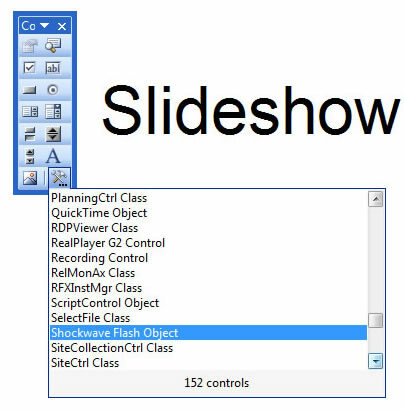 The following guide tells how to insert Flash slideshow into powerpoint presentation. This guide is for Powerpoint 2003, other powerpoint versions should be almost the same. 1. Build a Flash slideshow with Flash slideshow Maker. 2. Create a new presentation with Powerpoint. and save it to the same folder as the flash created in step 1. 3. 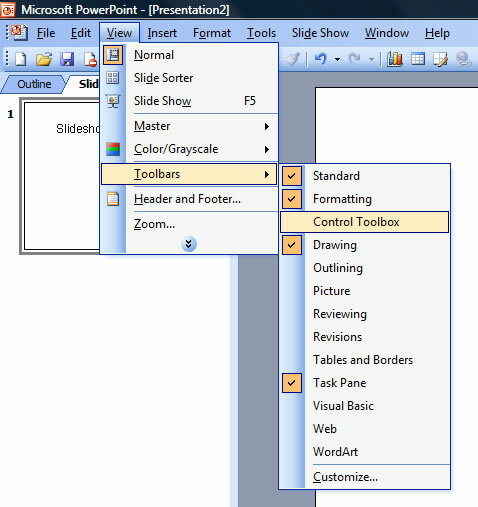 Click menu "View", "Toolbars" and select "Control Toolbox". 4. Click "Other Controls..." button in the control toolbox. 5. 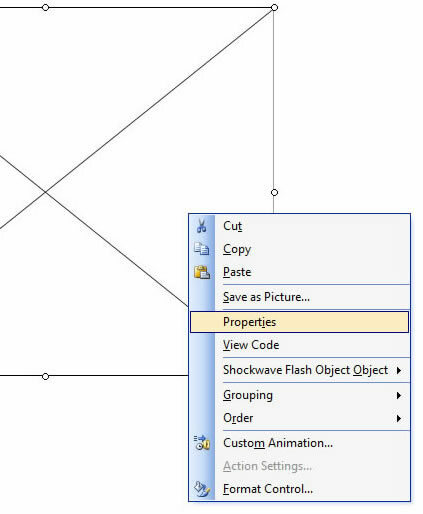 Click the mouse and drag to draw a box for inserting Flash. Right-click on the box and select menu item "Properties...". 6. Set the Move Data to your flash slideshow. 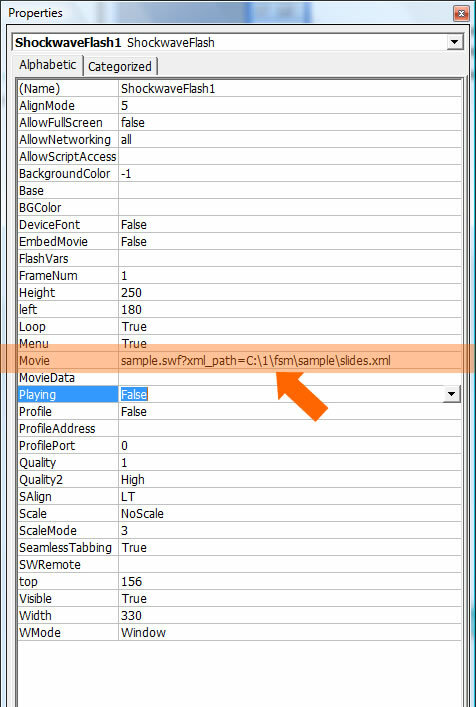 In this example, it is "sample.swf?xml_path=C:\1\fsm\sample\slides.xml", you should change the path to your own path. 7. 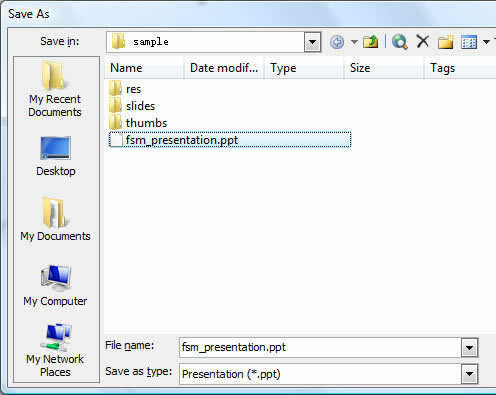 Save the file, and click "F5", the slideshow will run on the Powerpoint presentation. Please be noted you should change the xml_path to your own path. You can find tips from Adobe website and Microsoft website too.